Feeling a little sporty today. I actually wore this look the other week when I took the twins to the Boston Aquarium. Since we grabbed lunch with my step mom after, I wanted to wear something that was cute and put together, yet comfortable. I decided to wear my white theory shift dress for a classic look, then paired it with my Stan Smith sneakers, which added a fun sporty vibe. In my opinion, every woman should have a little white dress in their closet, and a shift style makes an easy way to wear one. They are flattering on all body types, and their loose cut is perfect for the summer heat. Not to mention that a white shift dress is a great classic. I've had this one for several years, and wear it every summer. Although this exact dress is no longer available, I'm LOVING this bow back shift dress from Theory, and you can't beat the price of this Forever 21 Shift. 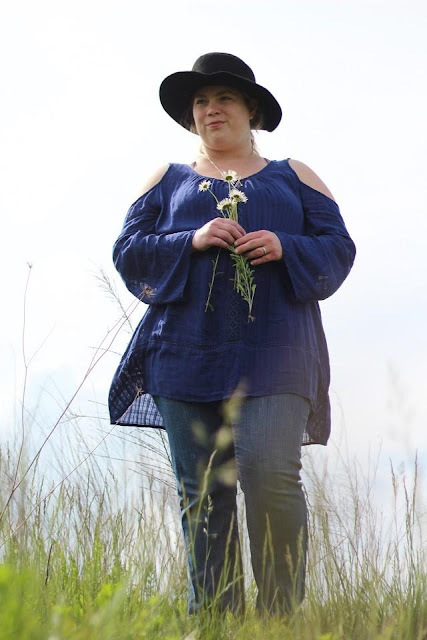 The feature blogger of the week is Rachel from Garay Treasures. I'm loving her cold shoulder top! Make sure to stop by and check out her blog. Love your casual-chic look! Aren't Stan Smith sneakers the best? I swear they are more comfy than my actual gym shoes. Have a wonderful weekend and thanks for hosting the link-up! I love the chic white dress! Super cute with the gorgeous sneakers! So cute! Love with the sneakers!!! I love this sporty chic look! That dress is so cute with the sneakers! 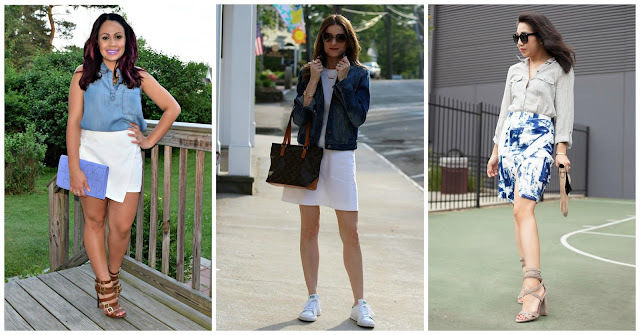 I love the look of white sneakers with a white dress! This is such a clean and chic look on you! One of my favorite pairings is dresses with sneakers! I love the contrast of femininity and sportiness! You look fabulous in this outfit! I think I may get out my white gauzy dress for today's 80 degree weather! Off-duty model alert! You look so casual chic in this look! Wishing you a great weekend lady! When I first laid my eyes on your outfit I thought of Kate Middleton. Seriously cute, but functional for your day out with the kids. This is the perfect mix of put together and comfy for your fun day. I am loving your sneakers with the dress! Love this casual summer look! I always love those cute little flags in the back too! :) Have a great weekend! The sneakers surely added the cute factor to this look!!! Come check out the 3rd installment of my latest collab with Los Angeles-based TOBI - I'm sure you'll love it as much as I do! Cute look! Love the jacket and sneakers with that dress! Looking lovely in this sporty chic look. Thanks for the feature Rachael, that makes my day (and its been a rough one) so again thanks. At least the weekend is coming. I love this look! I love pairing a dress with sneakers. Chic and comfy! Perfect for a day at the Aquarium with the kids. Beautiful! love this outfit! the louis is a nice touch. Love the easy white dress so much, the denim jacket is just perfect with it! This is the perfect summer outfit! I would totally wear it for the 4th! Loving the sneakers with your dress! Love this look! The dress and jean jacket work great with the sneaks!